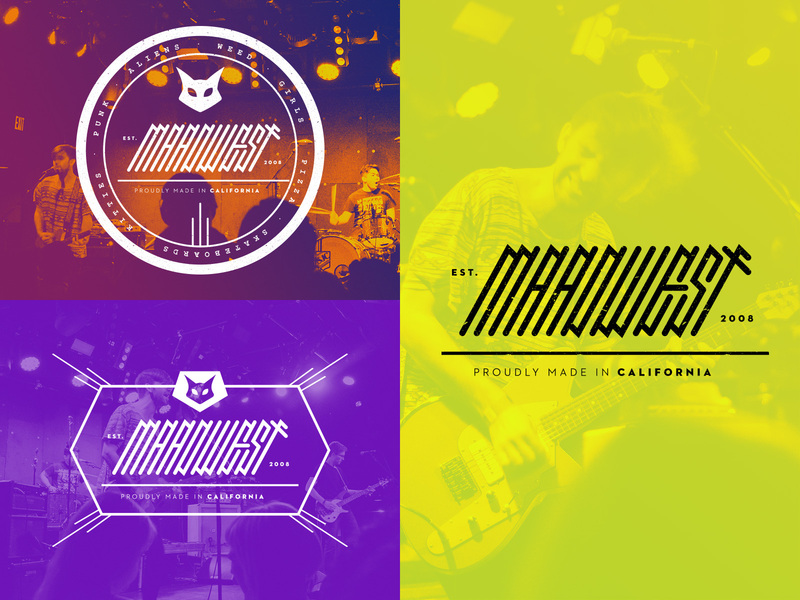 Maadwest is an amazing southern California pop-punk band led by frontman Matty McNamara. They’re a fast, electric trio whose philosophy is “fun at all costs”. Matty approached me about creating a new look for their band that could tell their story. Maadwest’s EP “I Can’t Believe We’re All Idiots” was frenetic, exciting, and most of all fun. So I derived a look that in isolation could look grungy and aggressive, but when paired with over-saturated photography could feel bright and vibrant. The all-caps, super compressed typography for the Maadwest logo was hand-drawn to give the band a spiny, aggressive logotype that can sit at the core of the brand. The surrounding type, Futura Bold, frames and offsets that compression, almost feeling like annotations that complement a figure. Ghost, Matty’s pet cat and de facto band mascot, accents the logo when used in larger applications. We built several different marquees around the logo so that the band could produce pins, patches, and stickers with varying degrees of decoration. 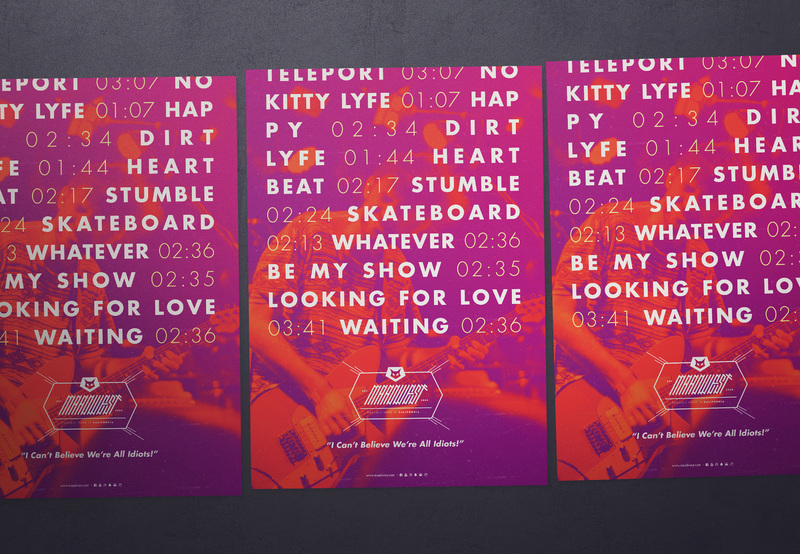 With the brand system established, I designed posters to promote the band’s EP embodying the punch and lack of restrictions that has come to define their sound. Seeing all the elements come together really sold the concept to Matty. He couldn’t be happier with the results, and can now proudly share the banner that represents his band.